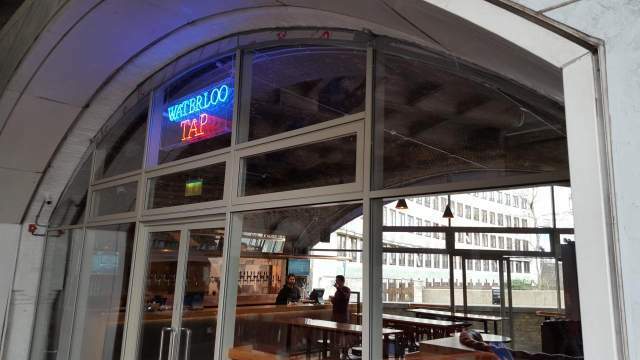 The latest offering from the people behind the Euston Tap etc is this bar in a railway arch (Arch 147 in Sutton Walk) between Waterloo Station and the Royal Festival Hall in what is rapidly becoming quite a beery bit of the South Bank. The 20 keg and 6 cask beers are from breweries of very high quality, kept and served immaculately and offered at extremely competitive prices. There are a couple of comfy booths along with higher tables; it can get very busy early evening but often quietens down later on.